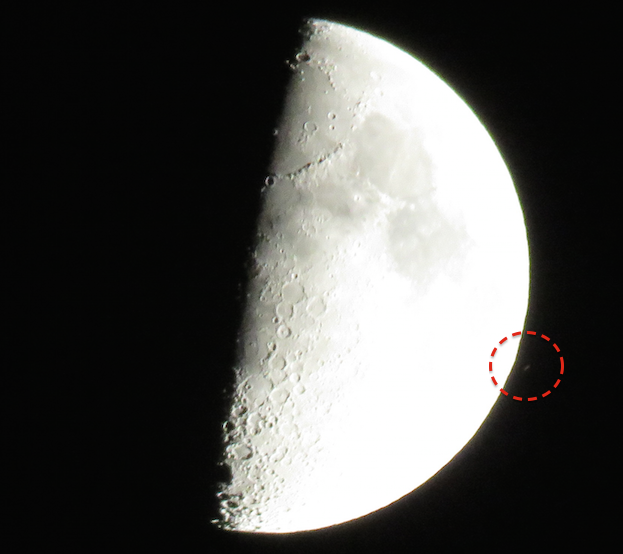 UFO SIGHTINGS DAILY: Long UFO Near Earths Moon On Sept 21, 2015, UFO Sighting News. 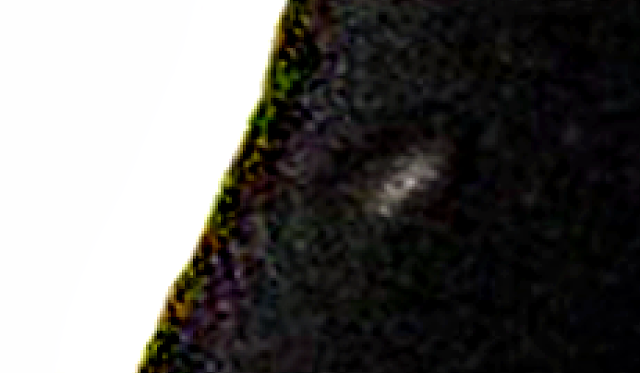 Long UFO Near Earths Moon On Sept 21, 2015, UFO Sighting News. This UFO is in the moons orbit and is very big. The UFO has sections with arms. 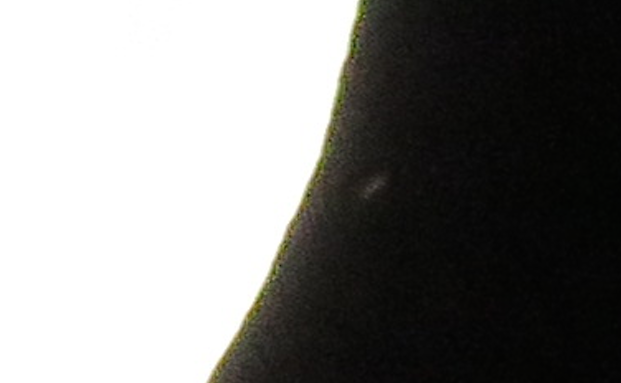 The photo he submitted is really big so check it out if you want a nice close up of the UFO. Todays digital cameras have great zoom and can record the moon as good as most telescopes. Good evening.. I enclose a photo made by me to try out my new camera a Canon powershot sx 60hs bought three days before. I photographed the moon and then after a few minutes, when I went to review the pictures I have seen that there is "something to the right of the moon" the quality is not excellent, but my curiosity much. You will surely have the software to increase the image quality. The photo was taken Monday, September 21 at approximately 21:25 in Rome, Via Tiburtina. Thanks for the attention, sorry for my poor English.